A wonderfully traditional Westmorland stone country house set within beautiful terraced garden at the southern end of Lake Windermere in Newby Bridge. Newby Bridge is situated at the foot of Windermere, England’s largest lake. Away from the hustle and bustle of the tourist honeypots, we offer a quieter location with great access to the major link roads in to the Lake District. 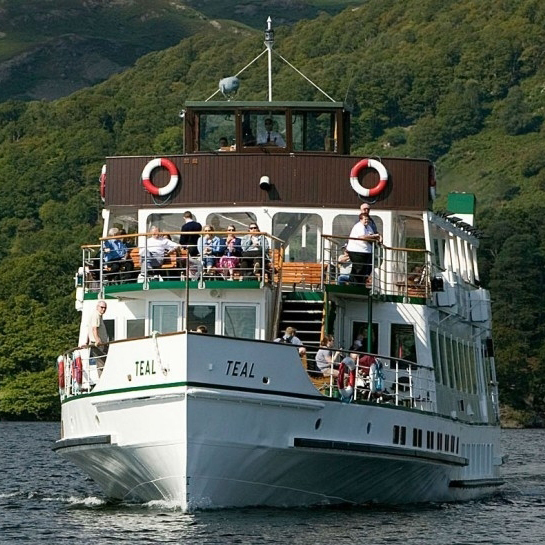 Once here why not ditch the car and explore this stunning area with a spectacular voyage on Windermere, with magnificent views of mountain scenery, secluded bays and the many wooded islands. A short walk to Newby Bridge Halt where you can catch a historic Steam or Diesel engine on the Lakeside and Haverthwaite Railway to Lakeside where Windermere Lake Cruises will sail you in to the heart of the lakes. A slightly longer walk through Staveley in Cartmel or across the fields to the National Trusts Fell Foot Park, where you can catch the Fell Foot Ferry across the lake as a connection to the larger Steamers. Lakes End is a wonderful traditional Westmorland stone country house set within a beautiful terraced garden. Located at the southern end of Lake Windermere in Newby Bridge close to popular Lake District and costal tourist attractions as well as local wedding venues.